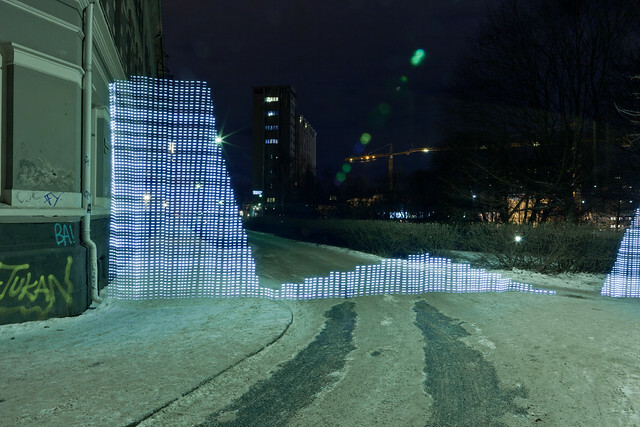 Three Oslo-based researcher/designers have found a way to visualize WiFi networks using light painting techniques in long exposure photographs. The key is an ingenious measuring rod that flashes lights corresponding to the constantly varying signal strength. 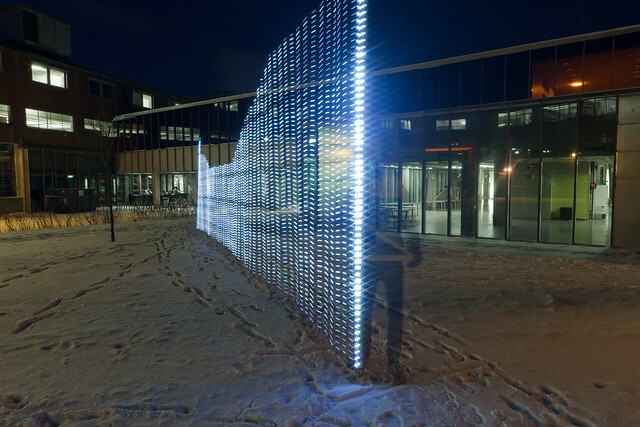 Timo Arnall, Jørn Knutsen, and Einar Sneve Martinussen documented the project, “Immaterials: Light Painting WiFi,” in photographs and video.